The Eucla Museum, in the middle of the Nullarbor Desert, is a single room in the roadhouse motel, between rooms 30 and 31. As I passed late one night, there was a glow from one light. I checked the door to find it open. 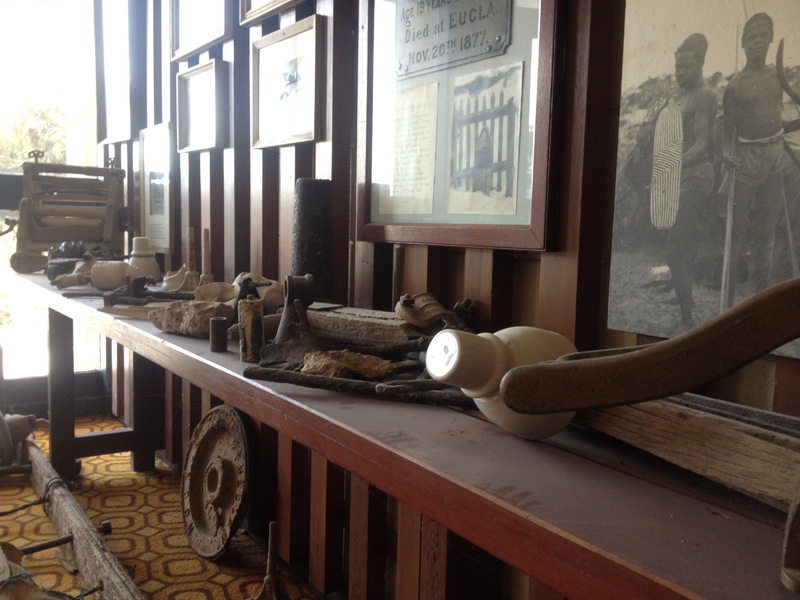 The Eucla Museum is open 24 hours a day, 365 days a year. After some research, it appears 24-hour museums exist in the realm of art, where artists push the boundaries of museum time to reveal limitations that otherwise go unnoticed, such as types of visitor, their expectations and the expectations of staff. Christian Marclay’s uber-popular The Clock has been the cause of high-profile museums staying open for 24-hour stints over the last 12 months, but it’s focus is not on intervening in museum practice. For the 2010 Whitney Biennale, Michael Asher contributed Open All Day and Night which consisted of keeping the museum open for three consecutive days. Asher described the work as “a suggestion, a little different way of thinking about time, or the institution, about who uses the museum, and how it’s used, and maybe even what goes into it.” Budget and resources prevented his original proposal for round-the-clock opening for the 3-month duration of the Biennale, or even a week. More recently, a museum viewable at all hours has popped up in New York. Simply called Museum, it’s as much an artwork about material culture and collections as anything else. It’s permanent collection is an array of everyday, usually ephemeral objects. “Items lost and found in the cracks and corners of cultures around the world.” The acquisition process here is about insignificance, turning established acquisition criteria upside-down. 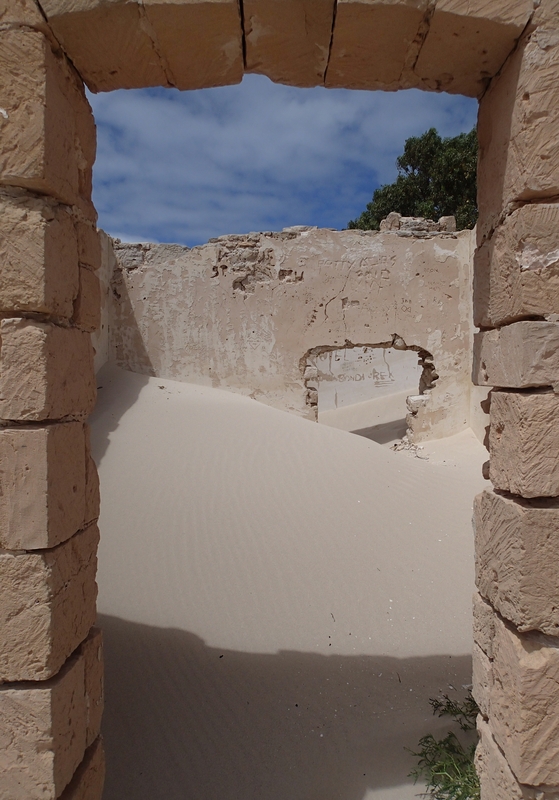 The old town of Eucla is almost lost, buried in a corner of Australia, under mountains of sand. The town’s mystery is reflected in its museum. Known for it’s telegraph station built in 1877, the original stone buildings of Eucla lie abandoned since the 1930s, under drifting sand-dunes unleashed by a rabbit plague. It’s said the station is haunted by a ghost, but no one can say whose. The wooden pier, once used for delivering supplies, is abandoned and being taken by the sea. In a more recent chapter, the community created a media storm by suggesting there was a local ‘wild woman’, the Nullarbor Nymph, who ran and lived with the kangaroos out in the desert. It was a joke or a lie, but it resonates here. It’s museum collection is organic, an open store for objects which have emerged from the dunes. In a room decked out like a modern day collectors cabinet, there are vintage glass-fronted tall-boys and wooden sets of shelves stacked with found bottles and shells. 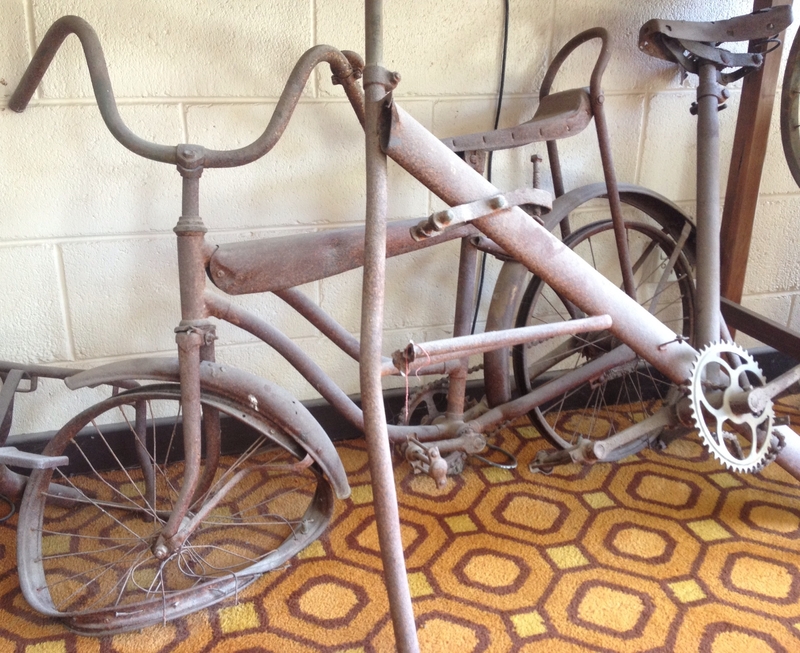 Dusty, cracked and rusted, some objects are recognizable and others not. This museum has it’s own natural acquisition process, working in tandem with the dunes and the wind. The collection is shaped by it’s only patrons – the dunes, and whatever they choose to hide or reveal. 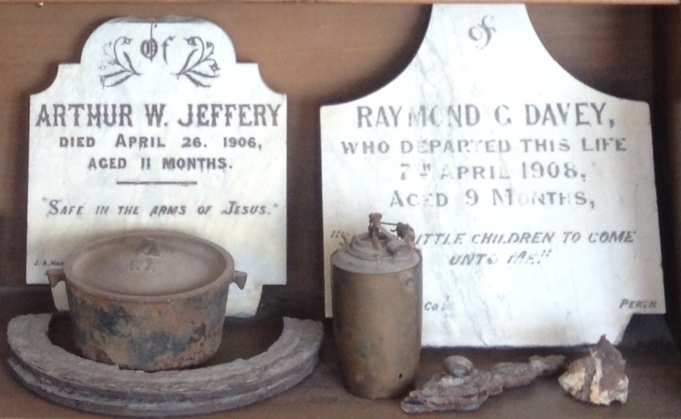 Historically, the museum was a place to store objects salvaged before the dunes could take them, like the grave stones of telegraph station staff, young men on their first jobs, or their children. Now the museum is a place of retrieval as objects are revealed. The dunes and the museum are counter-weights – the dunes an ever-changing mass blasted by the southern ocean, the museum a place of permanence, quiet and safety. The space is full of treasures but runs on an honesty system. There are tins of colonial cutlery any antique store would take into stock. 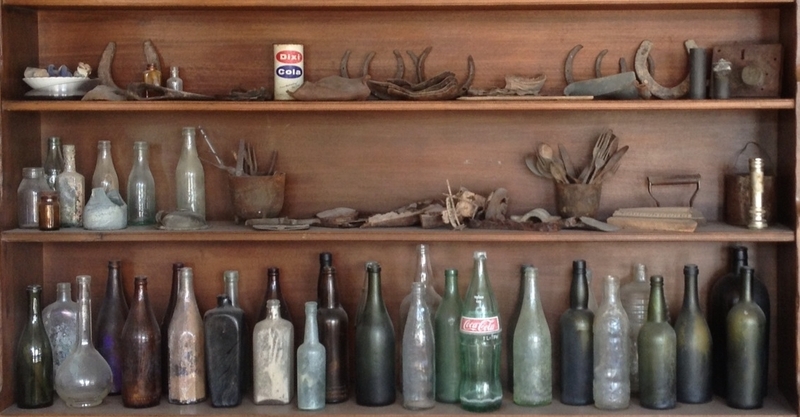 Thick glass bottles and tin cups, old maps of the area, a 19th century bicycle and the skull of a sheep. At night, I could have taken any souvenir I liked. 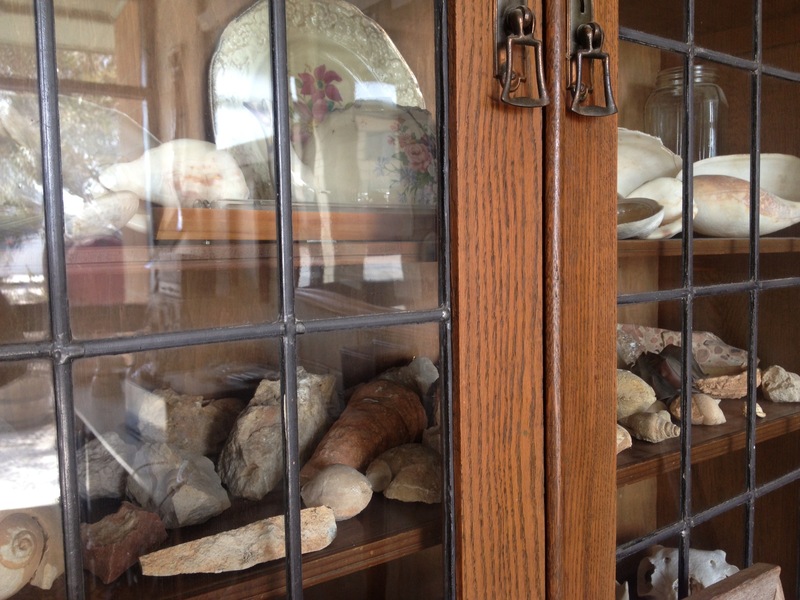 But I was also welcome to leave anything, like a pebble tucked between the bottles and cutlery. Without the structure of a collecting policy or security staff, it’s a collection built on luck, maintained by human goodwill. 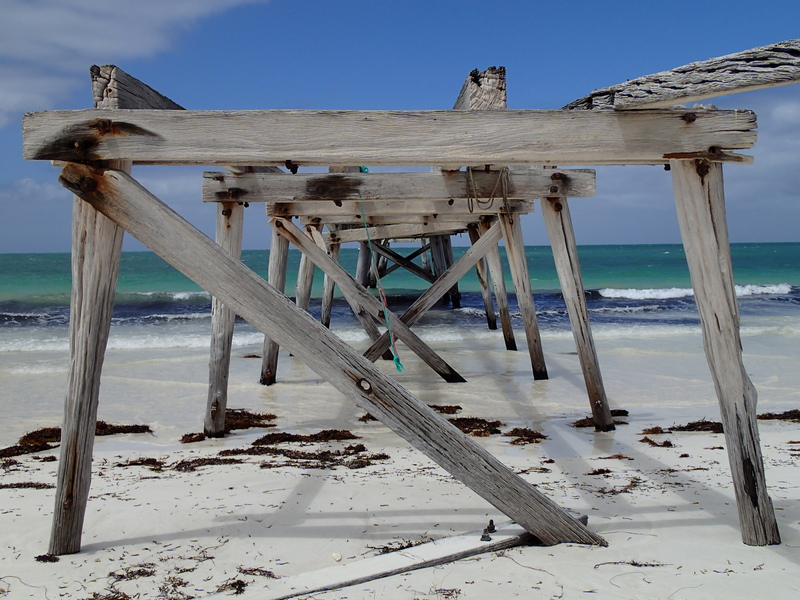 Visitors come to Eucla with questions, fascinated by the Nullarbor and curious about the ghost and the Nymph. I found no answers here. It didn’t tell me a story, there was no narrative, only skerricks of interpretation. In leaving out all the usual museum trappings, the Eucla Museum honored the town’s sense of mystery; it left my fascination and the spell of Eucla in tact. Had someone just neglected to lock the door? I visited again the next day, and it was the same scene. It’s a forgotten space, where time isn’t significant, opening hours irrelevant. Here it’s the shifting and long-term time-scale of the dunes which dictates. Unlike artists who have tried to push out the traditional structures of museums, like opening hours, interpretative labels or acquisition criteria, the Eucla museum has just let them fly away in the wind.